Cookbook lovers will discover Ohio like they’ve never tasted it before with the latest edition in the EAT & EXPLORE STATE COOKBOOK SERIES. Author Christy Campbell’s mission is to bring readers a taste of each state by sharing the favorite recipes of hometown cooks throughout the state while sharing information about fun festivals, unique attractions, and fascinating tourist destinations. Eat & Explore Ohio is much more than your average cookbook. It is an outstanding cookbook featuring traditional recipes from the people who know them best… Ohio cooks. With easy to follow recipes straight from home kitchens across the state, this latest volume preserves Ohio s most treasured dishes. But that’s not all. 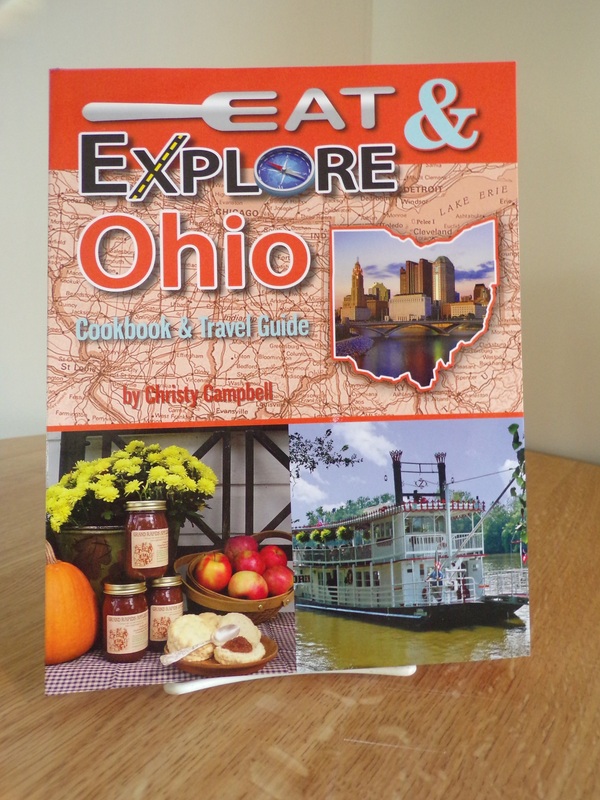 Eat & Explore Ohio is a tourist s guide to everything that makes Ohio special. From Old Man s Cave Chalets to Canton Palace Theatre, locals, tourists, and armchair travelers alike will enjoy reading about the festivals, events and unique destinations that are hallmarks of the state s traditions. This new cookbook will allow people everywhere to eat and explore Ohio… deliciously.